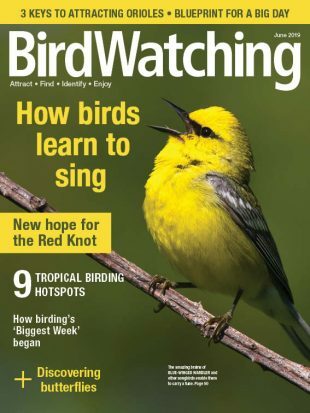 Great in May for Yellow, Virginia’s, and Orange-crowned Warblers, as well as vireos, flycatchers, and Western Tanager. I’m always surprised by the birds and other wildlife I see at Bear Creek Regional Park. On a recent summer visit, a vocal flock of Lesser Goldfinches greeted me outside the nature center. Soon a Broad-tailed Hummingbird flashed past. A mule deer lazily crossed the path and paused in the underbrush while Spotted Towhees scratched the ground. At the nature center, hummingbirds sipped from red feeders, and a beautiful Western Scrub-Jay scolded from a Douglas fir. While I watched the feeder birds from a bench, Common Ravens called from the west. The park is especially great to bird in May, when migrant songbirds push through. 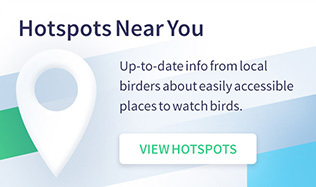 Watch for Yellow, Virginia’s, and Oranged-crowned Warblers, as well as vireos, flycatchers, and Western Tanager. Doris Cruze is past president of the Audubon Society of Greater Denver. She also wrote about Red Rocks Park, Morrison, Colorado, Hotspot Near You No. 117. Bear Creek Regional Park features meadows, forests, and ravines. From north- or southbound I-25, take exit 141 onto Hwy. 24 (Cimarron St.) and drive west two miles to 26th St. Turn left and continue southwest as the street becomes High Dr. and then Bear Creek Rd. After 1.6 miles, turn left into the Bear Creek Nature Center parking lot. Riparian areas, cottonwoods, dense scrub oak, open meadows, creek, ponderosa-pine forest. Mostly hilly. One paved trail with boardwalk, wheelchair-accessible. Three other trails, gravel and of moderate difficulty. Spring and summer: Peregrine Falcon, Greater Roadrunner, Northern Saw-whet and Great Horned Owls, Broad-tailed and Black-chinned Hummingbirds, Lewis’s and Hairy Woodpeckers, Western Kingbird, Ash-throated, Gray, Hammond’s, and Cordilleran Flycatchers, Plumbeous and Warbling Vireos, Black-billed Magpie, Canyon Wren, Gray Catbird, Western Tanager, Lazuli Bunting, Orange-crowned, Virginia’s, MacGillivray’s, Wilson’s, and Yellow Warblers. Fall and winter: Snow and Canada Geese, ducks, Bald Eagle, Rough-legged Hawk, Ring-necked Pheasant, Dusky Grouse, Western Screech- and Long-eared Owls, Bushtit, American Dipper, Northern Shrike. Year-round. Spring and summer for warblers and hummingbirds. Winter for ducks and raptors. 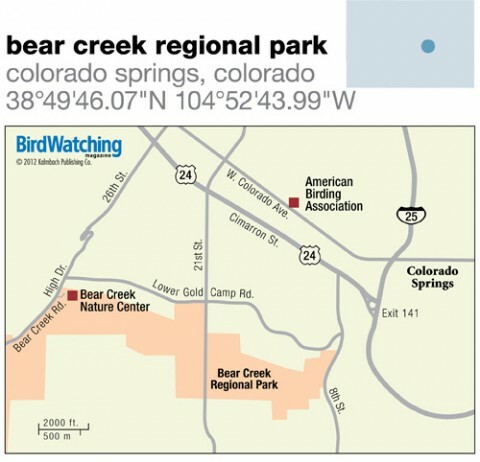 Bear Creek Nature Center has exhibits, programs, maps, guided tours, checklists, and restrooms. County park. Free. Trails open every day, dawn to dusk. Nature center open year-round Wednesday through Friday 9-2, Saturday 9-4. Elevation is 6,200 feet. Summer temperatures can be warm and the sun intense. Bring plenty of water and sunscreen. Bear Creek Nature Center, (719) 520-6387. Colorado Springs Visitor Information Center, (800) 368-4748. Six miles north of Bear Creek Regional Park. White-throated Swift, Lazuli Bunting, and more. Eight miles west on Hwy. 24. Horned Lark, American Pipit. Ptarmigan and rosy-finches possible at the peak. Headquarters is at 1618 W. Colorado Ave., about two miles from park.